Mechanical processing is promising for the preparation of superhydrophobic surfaces. But the practical application is often restricted by the cost for precision instruments or the use of sophisticated technology. A novel mechanical route is reported to prepare superhydrophobic surfaces on aluminum alloys via the milling process using self-made disk cutters. Uniform groove-like microstructures were formed on the aluminum alloy surfaces, and after modifying with stearic acid solution, the surfaces became superhydrophobic. The surface morphologies, chemical compositions, and wettability of the obtained superhydrophobic surfaces were studied. Potentiodynamic polarization curves revealed that the superhydrophobic surfaces obtained good anticorrosion resistance. A formation mechanism for the surface morphologies was also proposed. 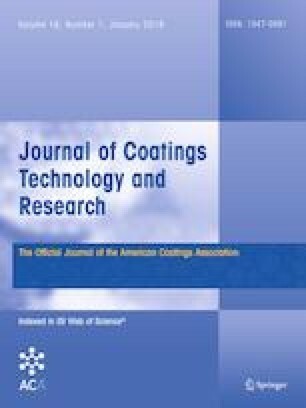 This method is significant for the industrial applications of superhydrophobic surfaces due to its low cost, simple process, and great efficiency. This research was partly supported by the Guangxi Natural Science Foundation under Grant No. 2017GXNSFBA198180 and partly supported by Foundation of Guilin University of Technology under Grant No. GUTQDJJ20172017120.